Healthy Indoor Professionals is a certified mold removal and mold cleaning company. Water intrusions in buildings may be caused by several factors such as a drainage problem, floods, condensation, roof leaks, sprinkler overspray and plumbing leaks. 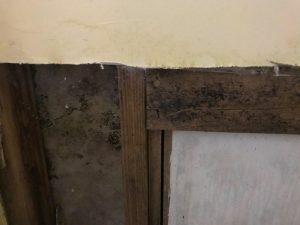 Moisture in building materials is the most important factor for mold growth. 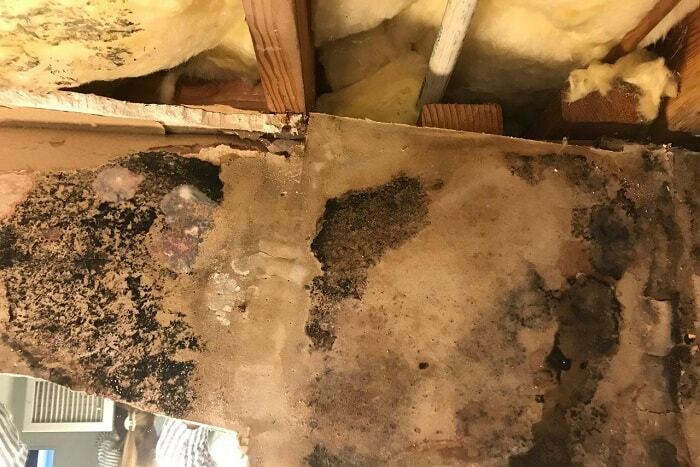 Mold growth in buildings can cause health problems and a musty odor. 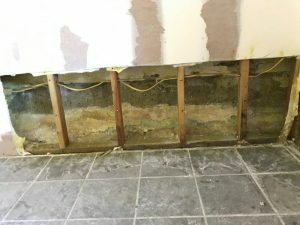 Any mold growth on building materials should be remediated. Mold removal and mold cleaning in buildings should be performed by mold removal and mold cleaning professionals. We first identify any moisture and mold problem in your building. Then we isolate the mold growth area by building a plastic containment. We use negative air machines to manage the air flow in the containment and prevent the spread of mold from the containment to other areas of your building (aka cross contamination). We run air filtration devices and air scrubbers in the containment or even in adjacent area to clean the air of any airborne mold spores and dust. 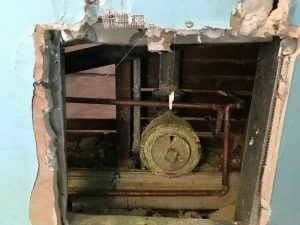 Then we start the mold removal process from contaminated porous building materials and deep clean all surfaces in the work area with advanced mold remediation equipment. After the physical mold removal, we may use antimicrobials, coatings and cleaning chemicals as the next step of mold cleaning. We use a HEPA vacuum and damp wipe everything in the containment, and then remove sealed clean bags full of mold contaminated building materials to a secure dumpster.